Walled gardens such as those built by Google, Facebook and Amazon are the deepest threats to another brand’s customer data and survival, martech guru, David Raab, claims. 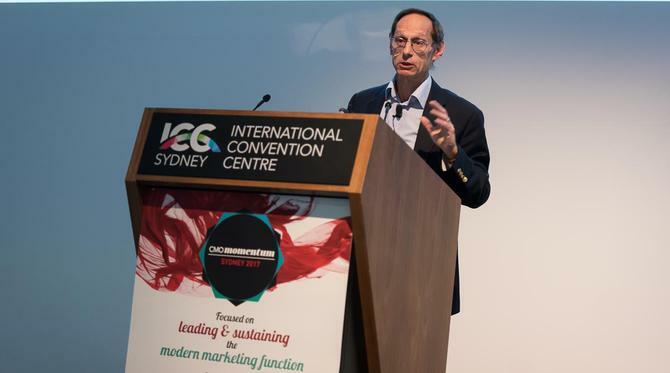 During a presentation at the recent CMO Momentum conference, the principal of Raab & Associates described the explosion of customer data off the back of the Internet as the biggest game-changer to hit marketing in the last 20 years, both in terms of opportunity as well as complexity. Data is the cornerstone of how brands build enough of a relationship and experience with customers to survive the onslaught of disruptors and digital-first competitors. “Data is the lifeblood – it lets you know what you need to do for each individual, is what gives you the basis for training the AI, and it’s what provides insights for core treatments across channels,” he told attendees. However, a number of threats can limit how marketers gain access to data. Internally, Raab cited data management and accessibility, along with martech complexity and the data skills gap, as key challenges. But it’s the external threat of being cut off from customer data sources that he was really worried about. While changing privacy laws and a general lack of consumer trust in brands and institutions are concerning, Raab’s biggest warning was around the rise of data-driven walled gardens being built by Facebook, Google and Amazon. These companies gather and lock down customer data, fostering ever-stronger connections across their networks that can increasingly stop other brands from finding customer favour, he said. The driving force is the personal network effect. “The bigger the network grows, the more value exponentially grows across each node,” Raab explained. “As a single company controls more of those nodes, each of the connections has more value. It’s very useful, for example, to have an app that keeps your calendar, or that does mapping. But if I have both of those together, I can proactively lay out the person’s schedule in advance. In the case of a company like Google, Facebook or Amazon, getting the customer to use their financial service then becomes more valuable than it is to the bank only selling them one service, or with only one connection to that customer, Raab said. “A lot of activity you see in the business world and what’s happening in marketing and advertising is related to this phenomenon,” he claimed. Because building that personal network is so important, whichever brand gets there first has the best shot of starting that connection of nodes, Raab continued. “There’s this leapfrogging going on. You used to go to a store, with a shopping cart, then Amazon got you before you went to the store,” he said. “Then Google got you searching before you got to Amazon. Then Facebook got you before you searched, so you didn’t get to Google. “Moving forward, Alexa [a voice controlled unit in the home], will get you before you even go on to Facebook. You can just order a pizza without going to the computer. There’s this goal of intercepting the buyer and getting there first so you get to be the one building the social network and multiple connections with that person. It’s also why Raab predicts more organisations will invest in subscription services. “Having a subscription means you never ask Alexa to buy you a pizza, you’re already subscribed to it,” he pointed out. It doesn’t have to all be in the hands of the big digital three, however. “What subscription services give players is a way to prise a customer out of a personal network,” Raab said. Outside the subscriptions prediction, Raab said the way to overcome the trap of being excluded from a personal network is to build such strong relationships, customers will voluntarily jump out of their personal network to buy from you. So how do you achieve that? Raab’s first piece of advice is to create customer-first, analytical engines that unify data and support personalised experiences en masse. He also advised training artificial intelligence platforms to support customer activity. It’s also about starting with the applications that deliver real benefit and incrementally build your experience maturity, Raab said. “Then do little things that move you in the right direction. Start in one channel, or start collecting certain data now,” he advised.